Dr. Murphree is the founder of Functional Fibro Doctors Network. His goal is to grow a network of doctors trained in functional fibro protocols, the same ones he has used to help thousands of patients over the last eighteen years. Functional Fibro Doctors Network intends to have a FFD in every large town in America. Dr. Rodger Murphree is the founder and past clinic director for a large integrated medical practice located in Birmingham, Alabama. The practice was staffed with board-certified medical doctors, chiropractors, acupuncturists, and nutritionists who combined traditional and alternative medicine. The clinic provided cutting-edge treatments for acute and chronic illnesses. He has specialized in difficult-to-treat patients for the last 18 years. He is a graduate of the University of Alabama Birmingham (UAB) and is a board certified chiropractic physician. and board certified nutritional specialist. 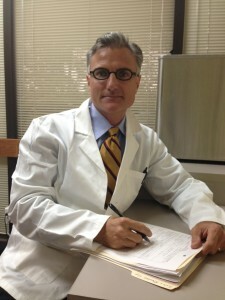 In 2002, Dr. Murphree separated from his medical clinic so that he could open his own practice in Birmingham, Alabama. He maintains a busy practice focusing on fibromyalgia and chronic fatigue syndrome. He consults with other physicians, lectures throughout the United States giving educational seminars to patients and healthcare professionals, is a regular columnist for numerous publications, and routinely appears on national radio broadcasts. Dr. Murphree’s books are available at most books stores and on Amazon.com. Dr. Murphree is a frequent guest on local and national radio and television programs including NBC, Fox, and ABC. He writes for several professional and public health related publications. His articles have appeared in The Washington Post as well as peer reviewed professional journals, including, Townsend Letter for Doctors and Patients, Chiropractic Economics, Alternative Fibromyalgia News Magazine, The American Chiropractor, and Nutri-News. As the past owner and clinical director of an integrative medical practice, I worked with both medical and alternative doctors, using a combination of prescription and nutritional therapies to successfully treat FMS and CFS. I’ve witnessed firsthand both the positive and negative aspects of drug therapy. I’ve researched and implemented numerous therapies over the years, keeping what works and discarding what doesn’t. Each new patient has brought new challenges and exciting breakthroughs. These experiences of being “in the trenches” for the past fourteen years have uniquely qualified me to treat, write and teach about FMS and CFS/ME. Today I conduct continuing-education seminars for doctors, as well as online training, for doctors who also want to help people gain freedom from the shackles of fibromyalgia. I’m excited to further my mission of helping others by mentoring a growing group of doctors, Functional Fibro Doctors, trained in my protocols, to become the fibromyalgia the expert in their respective communities. My goal is to have at least one of my fibromyalgia specialists in every major city in America. Doctors in my Functional Fibro Doctors Network are specially trained to diagnose and successfully treat fibromyalgia with the same tried and true, clinically proven, all natural, science based nutrition protocols I’ve been using for the last fourteen years. After several years of owning and running a large, integrated medical practice, staffed with medical doctors and support staff, I became disenchanted with drug therapy and traditional medicine protocols for treating illness, especially fibromyalgia. Convinced that traditional medicine was a dead end for fibromyalgia patients, I sold my practice and set out to organize and analyze all I’d learned and discovered. I began to aggressively implement specially developed nutritional protocols to yield (often rapid) results without drug therapy. Today, I see irritable bowel syndrome, a common condition associated with FMS, typically corrected within two to four weeks of starting my program. Deep restorative sleep, the key to getting well, is often achieved in a matter of a few days-Without using potentially life-robbing drugs. My next step was to write a how-to book on tackling FMS and CFS/ME using my nutritional protocols. I wrote Treating and Beating to help people help themselves get well. I didn’t want to just program them with another prescription. They needed to understand their own bodies and to hear the stories of other patients who had been where they are. Many needed help explaining their illness to their spouse, parents, kids, friends, or co-workers. Many just needed hope, hope that they could feel good again. When I first began practicing twenty-three years ago, I’d never heard of fibromyalgia or chronic fatigue syndrome. They weren’t mentioned in any of my medical textbooks. Then I had a patient referred to me who changed my life forever. Sheila James was suffering from a strange collection of symptoms: diffuse pain throughout her body, headaches, menstrual irregularities, allergies, chronic infections, insomnia, depression, digestive problems, and unrelenting fatigue. After several years of being passed from one doctor to the next, she had recently been diagnosed with fibromyalgia by a local rheumatologist. The doctor couldn’t provide her much information on her illness or even much hope of ever being well again. She had read all she could about fibromyalgia (there wasn’t much) and knew that traditional medicine had little to offer. Medications recommended to her were mostly for covering up her various symptoms. A friend had told her about how I had helped her overcome chronic headaches, and Sheila turned to me in desperation. Her symptoms were getting worse, and no one seemed able to help. I am embarrassed to admit, I was tempted to dismiss her as a hypochondriac. However, something she said changed my mind: “I’ve been sick for almost seven years now and I want to feel good again. I used to be so healthy.” Hypochondriacs don’t want to feel better. Mrs. James honestly wanted to be anywhere but in my office. I told her that I didn’t know anything about fibromyalgia and didn’t know if I could help her. But I promised to do my best to see her get well. Fortunately, I was not aware that there was “no cure” for fibromyalgia. I just did for Mrs. James what I do for all my patients; I treated the whole person from the inside out. I read everything I could find on FMS and CFS/ME. I reasoned that Mrs. James’s body was not properly communicating with itself (known as dysautonomia). Her regulatory system was broken. I began by analyzing her diet and placing her on an allergy-elimination diet. She began to feel better. I then ran some functional medical tests, which revealed insufficient digestion (she had intestinal permeability) and yeast overgrowth. I started her on natural yeast medications and diet restrictions to allow her body to repair her damaged stomach lining. She continued to improve. I still didn’t know a fraction of what I know today about FMS and CFS/ME, but I prescribed vitamins, minerals, and amino acids, and she got better. I developed specific chiropractic adjustments and physical therapies to accommodate her sensitive musculoskeletal pain. The gentler I was, the better she fared. Three months later, Sheila James was totally well. She no longer had pain, insomnia, fatigue, allergies, or any of her previous symptoms. She was ecstatic, and so was I! I didn’t know it at the time, but I was taking the first step of a great adventure. I continued learning and refining my treatment protocols, as my practice grew almost overnight by dozens of FMS and CFS/ ME patients. Some patients got well, but some didn’t. Although I was happy with my successes, I was more affected by the failures. I found other chiropractors, nutritionists, massage therapists, and medical doctors who were also searching for answers. It became clear to me that we had to think outside of the box to effectively treat these illnesses. They were not a neatly packaged set of symptoms that fi t into an insurance codebook. They demanded a new way of thinking. Since most of my FMS and CFS/ME patients were on prescription drugs that were making them feel worse, I realized that I needed to have MDs on my team who could help educate patients on which medications were helpful and which ones weren’t. By employing and working with medical doctors, I could provide the best of both worlds: prescription drugs along with the natural therapies I’d found to be so helpful. An integrative approach allowed me to correct nutritional deficiencies alongside judicious use of prescription medication to temporarily relieve some of the worst symptoms. That’s when I opened the integrative clinic located on the campus of a major hospital in Birmingham, Alabama. We specialized in combining traditional medical and natural medicine to treat FMS, CFS/ME, and other chronic illnesses. Four years and thousands of patients later, I realized I needed to pursue a solo practice, one based on my original nutritional foundations. While I valued the relief that prescription drugs can offer, it became clear that the fewer drugs a person was on, the better she fared and the more quickly she improved. Using drugs (or even natural remedies) to cover up FMS and CFS/ME symptoms is clearly a doomed approach. You just can’t mask hundreds of symptoms, with new ones cropping up every day! The protocols were becoming too complicated, and the last thing my patients (or their bodies) needed was more stress. Worse, some of my patients’ “symptoms” turned out to be side effects of their drug treatments, and it was getting tough to tell the two apart. For instance, Ambien is a drug commonly used to treat the poor sleep associated with FMS, but its potential side effects include foggy memory and flu-like symptoms. This sounds a lot like fibromyalgia! Today, I try to wean my patients off of the drugs that might be complicating their case, while still accounting for the potential benefits of their prescriptions. Sometimes a safer drug is available. Often a natural remedy works just as well or better. Since re-entering independent practice, I’ve successfully treated thousands of patients with high doses of certain vitamins, minerals, amino acids, and other nutrients. This approach is referred to as orthomolecular medicine. It’s based solely on biochemistry, manipulating and augmenting chemicals inherent in the body in pursuit of optimal function. By understanding and influencing the natural building blocks of our biochemistry, we can correct or drastically improve the causes of many of our diseases. I’m firmly convinced that the way to beat your FMS and CFS/ME is to get you healthy. I know this sounds simplistic. Yet it’s quite intimidating as well. Ultimately, the responsibility is yours.